I have been practising Hatha yoga since 2000. During this time I have experienced many benefits both physical and mental, including developing self awareness and meeting many like minded people. 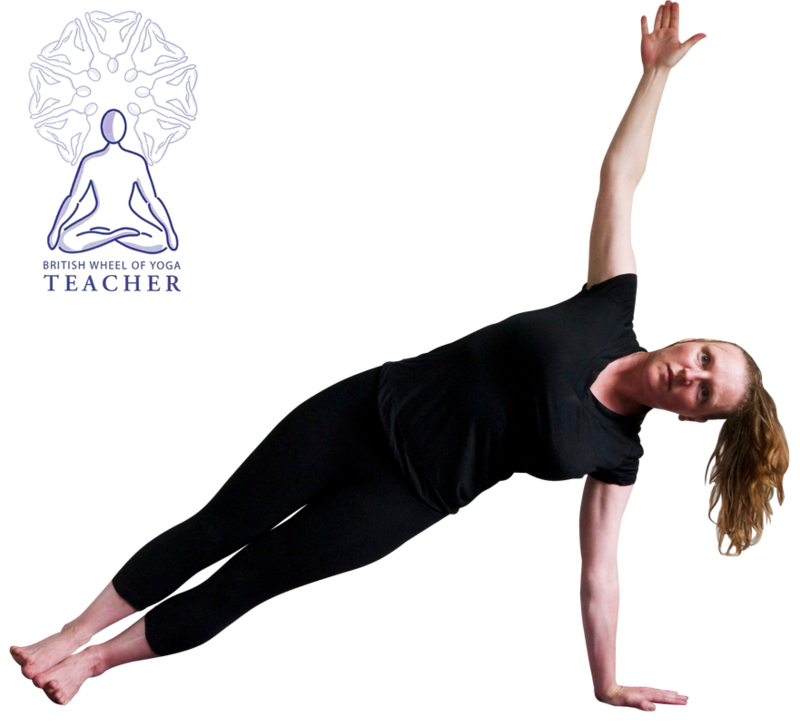 I teach Hatha Yoga and am also greatly influenced by my teacher Joan Stonehouse, who is an Iyengar teacher. I have a strong focus on safe teaching on my classes. Read my article on Joan Stonehouse which was published in Spectrum magazine in Spring 2018. I decided to teach yoga in order to share what I have learnt and to increase my knowledge and understanding of yoga. I have been teaching since 2011 and I completed the three year (500 hour) Teaching Diploma with the British Wheel of Yoga in July 2013. In 2017 I completed a 6 month training course to instruct the practice of Yoga Nidra. More details. Nada Yoga, the yoga of sound. Rajesh David. Pregnant women in a mixed ability class. Zoe Knott. Yoga for people living with cancer. J Friedeberger. Yoga for people with anxiety and depression. Amarayjoti. Yoga Nidra - a practice for healing and transformation. Julie Friederberger. Find out more about yoga and the benefits of regular yoga practice.